Are you looking for information of Vietnam Consulate in Thailand ? Would you please see below for information of Vietnam consulate in Khonkaen 40000, Thailand and Vietnam embassy in Bangkok 10330, Thailand. We are happy to inform that Thai passport holders are not required visa for entering to visit Vietnam if stay less than 30 days. Otherwise please apply for 3 month or 6 month visa if stay more than 30 days. 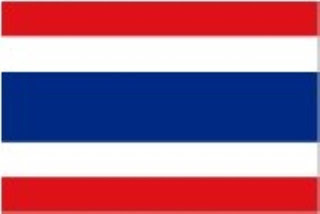 Thai citizens and residences can apply 3 month or 6 month visa at Vietnam embassy in 83/1 Wireless Road, Lumpini, Pathumwan, Bangkok 10330, Thailand or at Vietnam consulate in 65/6 Chatapadung, Khonkaen 40000, Thailand or get Vietnam visa on arrival with approval letter from Vietnam Immigration Department. In order to get 3 month or 6 month visa on arrival Vietnam for Thai citizens, you must ask for support from visa agency or company in Vietnam to arrange approval letter from Vietnam Immigration Department allows for picking up your Vietnam visa on arrival at international airports of Vietnam.